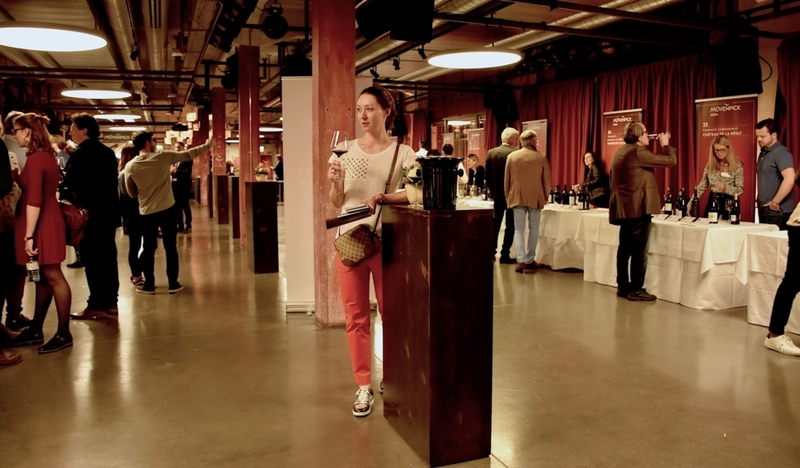 MÖVENPICK WINE FAIR 2017 TOOK PLACE iN OCTOBER AT PAPIERSAAL, SIHLCITY IN ZURICH. I had a chance to learn more about wine from over 45 international wine producers, as well as to taste, analyze and purchase favourite wine. Also, I could share my experience with other wine lovers in a cosy and relaxing atmosphere. For all newbies like me, it was a great opportunity to explore the world of wine, talk directly with wine producers and get first-hand advise. Dates: October 21 – 22, 2017. All guests could benefit from special offers and additional 10% discount. I want to share my discoveries and interesting details about well-known wineries. Château de Pouilly is located in the middle of the Pouilly-Fuissé region in Burgundy in the central France. Chardonnay is the only type of grape in the region. For that reason, Château de Pouilly produces only white wine in first-rate quality. The Château was built in 1551 and still remains to be a family business. The wine has a golden yellow colour, fresh and fruity taste with the notes of vanilla and honey. Borie-Manoux was founded in 1870. It’s one of the biggest family owned French winery and wine retailing groups. The company is well-known all over the world for its exceptional quality Bordeaux wine. Borie-Manoux has a lot of properties, like Château Batailley, Château Lynch-Moussas, Château Trotte Vieille, Château du Domaine de l’Eglise, Château Haut-Madrac and others. Château Batailley is one of the oldest estates in Pauillac (Médoc region). The wine is intensive, it has dark ruby colour and a very good structure. Grape varieties: 70% Cabernet-Sauvignon, 25% Merlot, 3% Cabernet-Franc, 2% Petit-Verdot. This Château is one of the oldest estates in Saint-Emilion. Wine has an intensive taste and known for its freshness and length. Incredible fact is that Château has some of the oldest grapevines of Bordeaux, as some of these are pre-Phylloxera, and thus more than 140 years old. Grape varieties: 55% Merlot, 40% Cabernet-Franc, 5% Cabernet-Sauvignon. Frescobaldi is a renowned family owned Italian winery with over 700 years of wine history. The company has 6 estates: Nipozzano Estate, Pomino Estate, Castelgiocondo Estate, Castiglioni Estate, Ammiraglia Estate, Remole. Grape varieties: Largely Cabernet Sauvignon, Cabernet Franc, and Sangiovese, with a touch of Petit Verdot. Planeta is Italian family-owned company, located in Sicily. The family has long traditions in making excellent quality wine and olive oil. There are five regions in Sicily, where today the family produces their wine: Menfi, Vittoria, Noto, Etna, Capo Milazzo. It is a red wine of great strength, complexity and balance, produced in limited quantities from selected vineyards. Grape varieties: 70% Cabernet Sauvignon, 30% Cabernet Franc. In Switzerland, you may check and purchase these wines on the Mövenpick official website. You may be also interested in the innovative preservation method for wine and sparkling wine, which helps storing your favourite bottles up to 6 weeks after opening. More information about this preservation method you may find -> ZZYSH – INNOVATIVE PRESERVATION METHOD FOR WINE AND SPARKLING WINE.